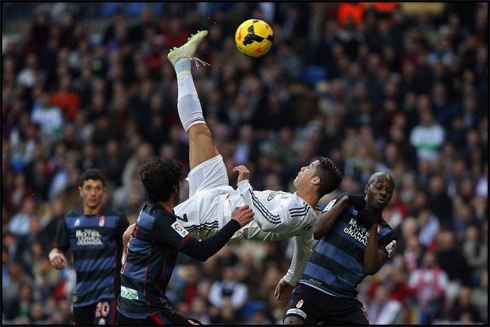 Real Madrid took the lead in La Liga this Saturday evening, as they hosted and defeated Granada by 2-0, ahead of their rivals Barcelona and Atletico Madrid games, this Sunday evening. Cristiano Ronaldo unblocked the game at the Bernabéu in the 2nd half, by scoring the opener and helping Marcelo setting up Benzema for the second goal. It's been a long time since Real Madrid has been on the lead of La Liga, even though this time it might not last more than a few hours. 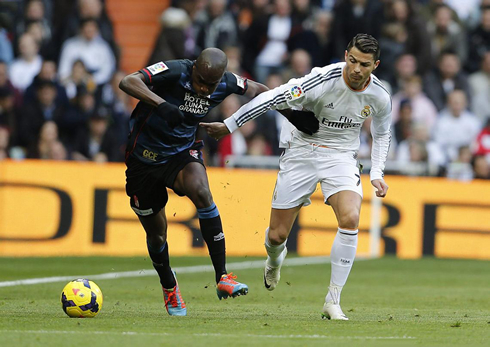 The Merengues didn't slip at home against Granada and secured the 3 points with a 2-0 win. It's Real Madrid's 9th straight win in all competitions and the 7th consecutive game they complete with a clean sheet. This Saturday's victory only started getting shape in the 2nd half and it had to be Cristiano Ronaldo breaking the visitors' resistance, with a great left-foot strike at the entrance of Granada's box. 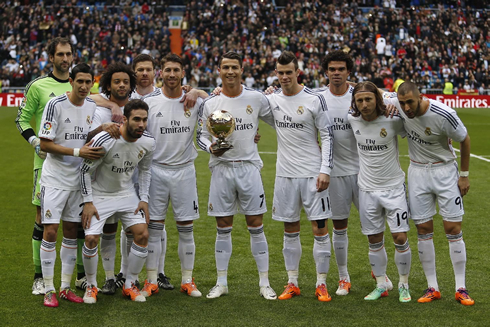 Karim Benzema sealed the deal later in the game, after tapping in a good build-up play between Marcelo and Ronaldo. This Sunday, Barcelona hosts Malaga and Atletico Madrid takes on Rayo Vallecano, as both sides hope to win and regain the lead. 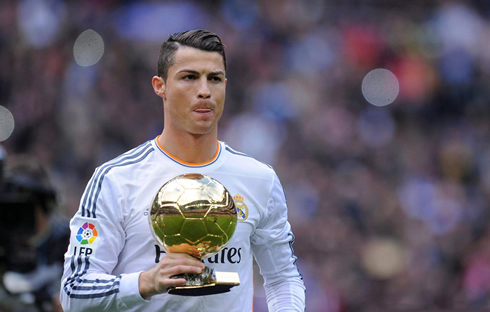 It was the first time Real Madrid played at home since Cristiano Ronaldo has won the FIFA Ballon d'Or on January 13. 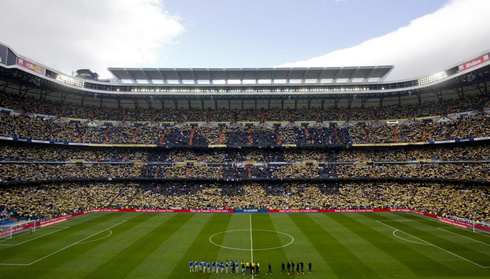 For that reason, the club had announced that the Portuguese player would present his award to the fans a few minutes before the kickoff the game and that's precisely what happened. Ronaldo took a few photos holding the Ballon d'Or and then grouped with his teammates for another set of pictures, as a clear sign of gratitude for both his colleagues and the fans attending the game at the Santiago Bernabéu. Things had to change for the second half and right after the break, Ancelotti started by bringing on Jesé Rodríguez and removing Gareth Bale from the field. The former Tottenham winger didn't have a great performance in the first half, but in his defense, he had been kicked violently by Murillo early in the game and that has most likely affected how he displayed after that incident. 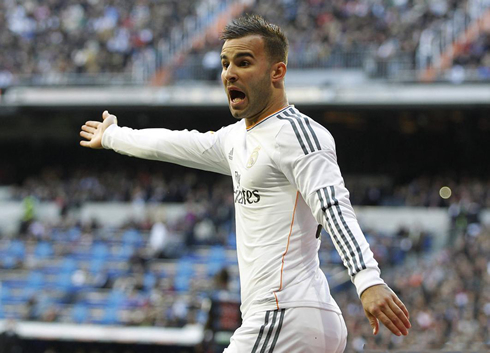 Jesé's irreverence was going to grant Real Madrid a whole new dynamism level in the attack and that's what the team was needing at that stage of the game. In the 56th minute of the game, Real Madrid went to the attack while a Granada's man was on the ground, but rightfully didn't send the ball out of bonds because the visitors had already had an opportunity to do it seconds before, but chose not to do so. In the sequence of that very same play, Modric, who was leading the attacking charge, exchanged a pass with Jesé Rodríguez on the right, just before sending it low towards Cristiano Ronaldo, who had his back turned to the goal. The Portuguese forward showed off all his ability, and after controlling the ball with his right-foot and juggling his way out of the defenders that were around him, he struck the ball with enough power and precision to beat Roberto and send Real Madrid into the deserved lead. Terrific goal from the 28-year old forward, who will turn 29 in just a couple of weeks, on February 5. It was only a matter of time until the second goal arrived... With 74 minutes played, Cristiano Ronaldo and Marcelo combined extremely well on the left attacking side, with the Portuguese forward leaving it over for the Brazilian to exploit a huge gap in Granada's defense. Marcelo raced towards Granada's box with the ball close to his feet and then found Benzema free of marking in the middle, waiting to be assisted and score from an easy tap-in to seal the deal for good in the Bernabéu. With this win, Real Madrid go top of the league momentarily, at least until Barcelona and Atletico Madrid play their fixtures this weekend, agended for this Sunday afternoon. 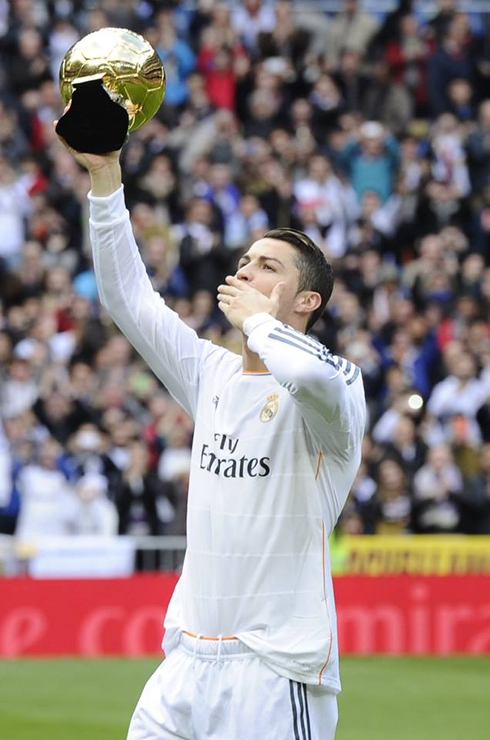 Cristiano Ronaldo scored his 32nd goal of the season and cemented his La Liga's top goalscorer rank now with 22 goals. Atletico Madrid's Diego Costa comes right behind him with 19 goals and Real Sociedad's Griezmann is far away on third place, with 12 goals scored so far. 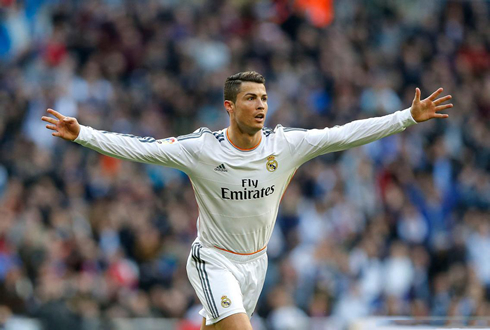 Cristiano Ronaldo next game for Real Madrid will be against Espanyol, next Tuesday night, for the second leg of the Copa del Rey quarter-finals (January 28, 2014). You can watch Juventus live stream, Real Madrid vs Espanyol, Malaga vs Barcelona, Chelsea vs Stoke and Sheffield United vs Fulham, all matches provided from our football soccer live section.